Phola celebrates Hugh Masekela's 70th year and marks the South African trumpeter's half century of bringing the music of his homeland to many ears throughout the world. As such, this musical statementthe 35th under Masekela's own nameseems to call for a glorious, celebratory mood. Instead, it is more of a quiet reflection on life, love, politics and social consciousness. Nothing wrong with that. Masekela, a true hero in his homeland, is an expert at such reflections. Phola was made, as Masekela's liner notes indicate, to help us "get well, to heal. To relax, to chill." Certainly, he achieves all of this and more here. But, unfortunately, it offers less than it promises. This is the smoothest Masekela has ever sounded. As he did on his previous studio disc of African music, Revival (Heads Up, 2005), the great South African trumpeter has put himself in the hands of a producer, and the result is something that sounds like a whisper of Masekela's former self. In this case Masekela has turned himself over to Malawian multi-instrumentalist and producer Erik Paliani, who'd proven himself to Masekela in his work with performers like Lee Ritenour, Mavo Solomon and Zamajobe Sithole. It all sounds technically beautiful. But something is missing. The hook? The message? The joy? The anger? Who knows? There is a reflective, autumnal feel to much of the music that suggests someone who has, late in life, found God, and rather than celebrate the joy and happiness he's discovered, resigns himself to regret and sadnesssomething much opposed to the celebratory happiness Masekela shows on the front cover. Seven of the disc's nine tunes are vocal pieces that fade out with Masekela soloing on flugelhorn. These range from the autobiographical "Sonnyboy" and the semi-political "Bring It Back Home" to the story song "Ghana" (which recalls Masekela's delightful "In The Market Place" from 1974) and, perhaps the disc's sole highlight, "Weather," which seemingly has something to do with climate change. Phola's two instrumentals are Masekela's "Moz," which oddly and rather successfully re-thinks the trumpeter's 1968 hit "Grazing in the Grass" (and nicely pairs Masekela with "Grazing" producer Stewart Levine on clarinet), and Jon Lucien's "The Joke Of Life," which Masekela had a hit with back in 1985. 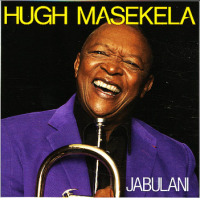 Masekela soars throughout on flugelhorn. 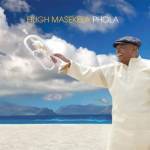 Phola, in fact, features some of Masekela's finest work on flugelhorn in some time. Rather than continuing with feats of studio wizardry from the pastnamely the brilliant Tomorrow (Warner Bros., 1986)Masekela seems switched on, up front, honest and pure here, much as he was on Home Is Where The Music Is (Verve, 1972), Hope (Triloka, 1993) and Time (Sony, 2002). In the end, perhaps, Masekela's horn work is Phola's greatest attribute. Forget the songs here. His playing, long derided by jazz purists, is right on. This is what gives Phola the poetry it possesses. Track Listing: Mwanayu Wakula; Ghana; Bring It Back Home; Malungelo; Moz; Sonnyboy; Weather; The Joke Of Life (Brinca De Vivre); Hunger. 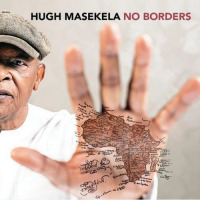 Personnel: Hugh Masekela: flugelhorn, vocal (1, 2, 3, 4, 6, 7, 8, 9); Neil Engel: trumpet (2); Speedy Kobak: trombone (2, 3); Ayo Solanke: tenor sax (2, 3); Stewart Levine: clarinet (5); Ezra Erasmus: piano (3, 6), electric piano (2), keyboards (2, 3); Harold Wynkwardt: electric piano (1, 6), keyboards (1); Arthur Tshabalala: electric piano (5, 8); Erik Paliani: keyboards (1, 3, 7), guitar (1, 2, 3, 4, 5, 6, 7, 8), electric guitar (3, 9), tenor guitar (4), accordion (1), bass (2, 6, 9), synth bass (7, 9); drum programming (1, 6), background vcl (1), arrangements; Jimmy Dludlu: guitar (4, 9); Denny Lalouette: bass (1); Fana Zulu: bass (5, 7, 8); David Klassen: drums (1, 2, 3, 5, 6, 7, 8); Elhadji Ngari Ndong: percussion (1, 2, 3, 5, 6, 7); Sinao Nhacule: African percussion (4, 8, 9); Amos Mahaule: African percussion (4, 8, 9); Rolando Lamussene: African percussion (4, 8, 9); Amade Nharuluque: African percussion (4, 8, 9); Mingas: vocal (4), background vocal (4); Mutangwa Ntshauba: background vocal (1, 6, 8); Putuma Tiso: background vocal (2, 3, 7, 8); Linda Jamisse: background vocal (4); Sheila Maxlungu: background vocal (4).